GE dishwashers have been recalled due to an electrical problem that can cause a fire. About 1.3 million dishwashers have been recalled due to an electrical failure in the heating element that can pose a fire hazard, according to the Consumer Product Safety Commission. GE has received 15 reports of the heating element failing. Seven of these involved fires, three of which caused extensive property damage. So far, there have been no reports of injuries. Dishwasher brands being recalled include GE, GE Adora, GE Eterna GE Profile and Hotpoint. These appliances were sold in white, black, bisque, stainless steel and CleanSteel colors and finishes. 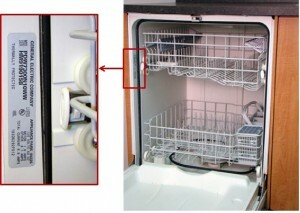 Serial and model numbers are located on a metallic plate inside the front of the dishwasher, near the rollers for the top rack. If you have one of these recalled dishwashers, disconnect the electric supply by shutting off the fuse or circuit breaker. Do not use the dishwasher. Be sure to tell other family members not to use it. Contact GE at 866-918-8760 for details on repair or upgrade options. If you have one of these dishwashers that has caught fire and damaged your home or injured loved ones, please email Carr & Carr Attorneys immediately or call 1-877-392-487. We can help you decide what your next steps should be. Recalled and defective products can cause serious property damage or harm to people, and you may be entitled to compensation if you have suffered substantial damage. Our personal injury attorneys have offices in Tulsa and Oklahoma City, but we work with clients in defective product cases from across the country.